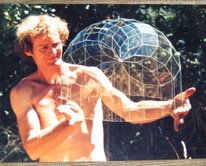 Russell Towle Asks: Is Kesey Ancient History? This body of material forms, as it were, the film companion to “Electric Kool-Aid Acid Test.” It is quite an important aspect of our history. thingamajig. He can’t be bothered with ancient history. This entry was posted in Ken Kesey, Russell Towle and tagged Ken Kesey, Russell Towle. Bookmark the permalink.